There’s a lot of work involved in UX design. 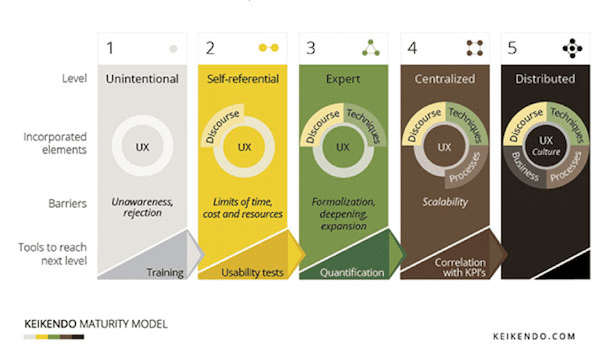 There’s the personas, the ethnographic research, the usability testing, the user journeys, etc. Once it’s all done there’s usually something very exciting about being able to share the results of your work with the wider organizational team. Yet, all too often user experience designers take their wonderful outputs and find that the team is nowhere near as excited or as inspired by their work as they are. In fact, in many cases, their work is dismissed. Comments like; “Yes, we know where you’re going with this but it’s not what we had in mind” or “Are you kidding? Do you have any idea how much work that would be?” abound. And the poor user experience designer is left to slink back to their desk without any of their suggestions coming to fruition. It’s great that you’ve done the work. It’s also great that you’ve come out with an exciting set of ideas. What’s not so great is the lack of effort that you’ve put into building relationships and learning to communicate effectively inside the organization. You have two key audiences that you need to win over with user experience work; those directing the flow of the business and the development team. If you don’t manage to get them on side your work is wasted. Unless you have an unlimited supply of hyper-keen users that sit outside your office door waiting to be of assistance; there comes a time when you have to be a user yourself. That’s where you actually walk through a process or an idea and see if it feels like it would be helpful. You have come to know your users well enough that you can feel when something is completely off base. This isn’t a substitute for eventual user testing but it helps that you have empathy for the user and can pick out moments of pain for them; before you inflict it on your users. The same goes for the folks that we work with. It helps to be able to empathize with them and that means knowing something about what they do. It can be incredibly useful to develop some basic skills in the business and development arenas. That doesn’t mean undertaking an MBA or a 3 year computer science degree, it just means building up your skillset in relevant areas so that you know roughly what the people you work with do and how that might conflict with what you do. If you want to make a quick start on this – go and ask them. Ask folks what you should do to better understand their job and priorities. That may mean reading a few books or perhaps a little online study. It will be worth it. You probably build user empathy maps all the time. It’s an easy way to start tracking what people think, feel, see, say, do, and hear and to see how that relates to what they want and what they don’t want. This requires a bit of effort and observation. Engage your colleagues, talk to them like you’d talk to a user. Understand their feedback on specific aspects of your work (and ask for that feedback early if you don’t already). Dig down and find out what they’re looking to achieve in the workplace. What kind of successes do they need to report to their management? Where do they get their ideas? Spend some time observing your colleagues too, where do sources of pressure seem to come from? How are their relationships with different members of the wider team? Once you have a handle on this – you can start to map people’s pain points and their hopes and ambitions. When you’re providing feedback from your work, you can start to link that feedback to these items. You can make your work relevant to them in a way that an impersonal presentation delivered in a “one size fits all” manner cannot. Yes, you’re the UX designer and that’s your territory but if you are hiding behind a “Do not enter! Here be dragons!” sign (metaphorically speaking) it might be time to let that go. Just as it’s harder for you to appreciate your peers’ work without understanding it, it’s harder for them to appreciate yours if you don’t let them in. The good news is that this will offer a wider sphere for ideation. Your colleagues aren’t stupid, that’s why they’re in the jobs they’re in – they will have contributions to make that broaden the horizons of your work. Allowing others to participate in your work also helps with those empathy maps. The more you work with someone, the better you will understand them. There are going to be conversations and opinions and ideas that give you a stronger picture of what’s really going on. You can adapt your empathy maps at any time – they’re not designed as perfect definitions of people because people change and you learn more. Communication is not a one way street. In fact, the onus of communication is on the person doing the communicating and not the recipient of the communication. If you want the people you present your research to, to support you – you need to learn how to reach those people effectively with your message. That means developing a better understanding of them and letting them develop a better understanding of you.